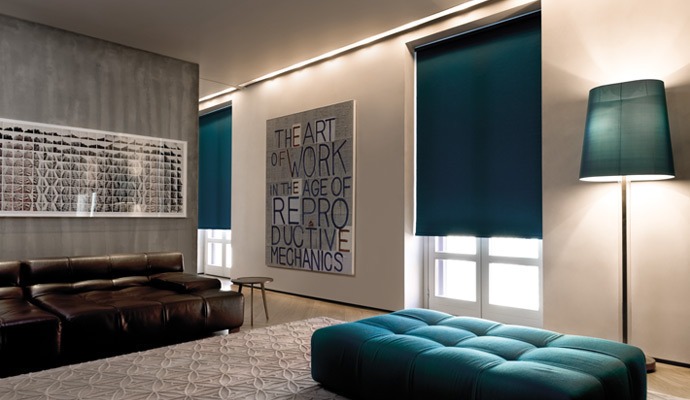 Absolutely brilliant in their minimalist design, roller shades (sometimes known as “roller blinds”) are a simple and elegant way to cover your windows. They’re excellent for managing light, maintaining privacy, and are incredibly functional and easy to operate. Perhaps most interesting is the variety of looks and styles you can achieve simply by changing the material! Let’s look at some different roller shade materials and how they can affect the design of your room. Looking to fill your home with natural light? Then light filtering materials are the way to go. They reduce glare and offer moderate privacy, while still allowing the sun to illuminate your home. Keeps your interiors bright and cheery, and house plants happy. Light is beautiful, but sometimes you need to keep it in check. Trying to get some sleep? Glare on your television set during the big game? Light isn’t doing you any favors there. 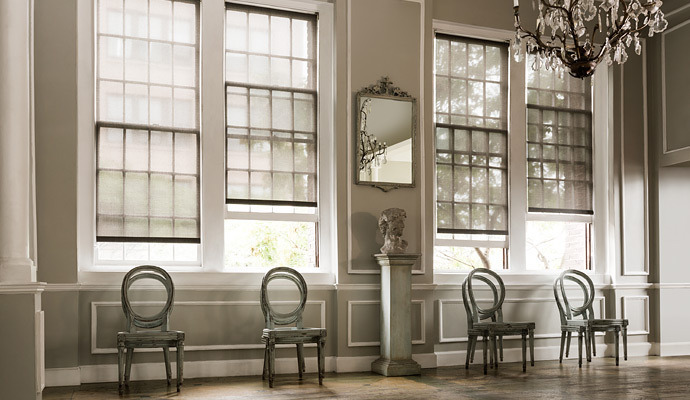 Not to worry – choosing a roller shade with blackout materials will keep the sunlight out of your business. Want to invite light back into your home? Simply roll up the shade! We get it. Sometimes it’s all about style and making a big, bold statement! If you’re looking to turn a few heads, roller shades with prints will get your guests talking (all good things, we promise). Our roller shade prints collection is constantly updated with the latest styles, so check back often to see what’s new. Have you figured out how to introduce natural design elements into your decor? 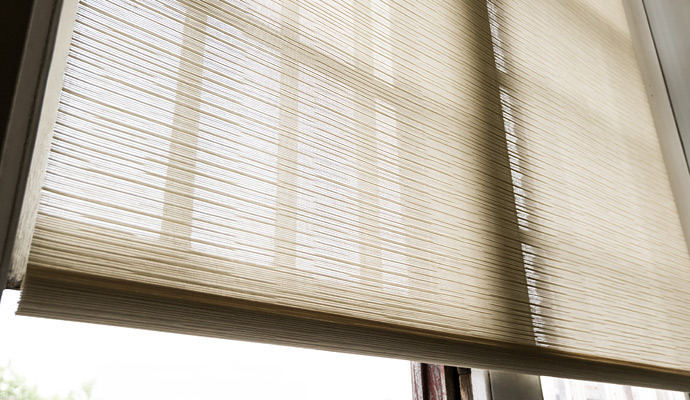 Roller shades made from natural materials are a great way to do just that. These paper-based weaves are made from low-impact sources, making them an incredibly stylish way to go green. They’re surprisingly soft, filter light and offer moderate privacy. Have questions about which roller shade is right for your home? We’re here for you! 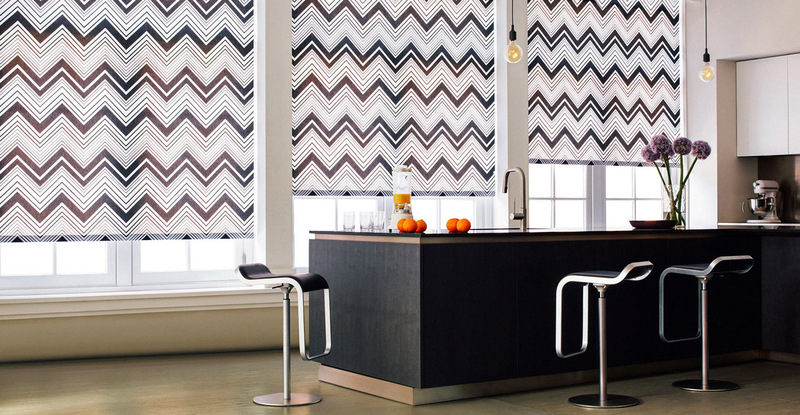 Give us a call at 800.754.1455 or send us an email at design@theshadestore.com. Happy designing!